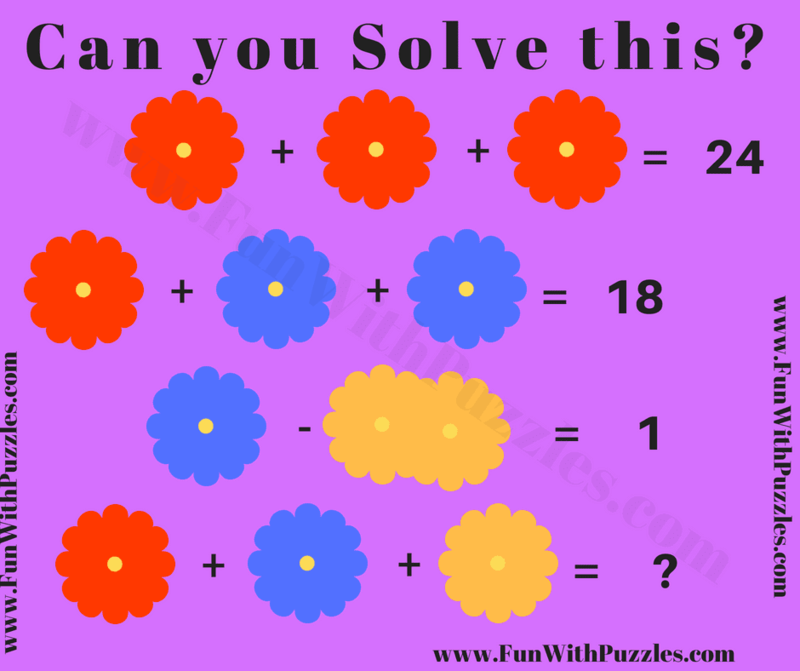 Here is very interesting Maths Puzzle in which your task is solve the given Arithmetic equations. To make these equations interesting, variables in these equations are replaced with picture of different colored flowers. 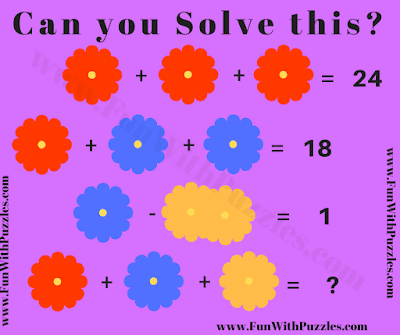 So can you find the value of each flower from these equations and then solve the last equation for the sum of all these different colored flowers? Can you solve this Maths Puzzle? Answer of this "Maths Puzzle using Picture", can be viewed by clicking on button. Please do give your best try before looking at the answer. So sum of all these flowers as in the last equation is 15.